As a sponsor of the event again this year, the Institute of Scrap Recycling Industries (ISRI) is calling on businesses, communities, policymakers, and individuals to increase their commitment to recycling and recognize scrap as an important resource. Recyclable materials are valuable commodities that play a pivotal role in environmental protection, energy conservation, and sustainability. Global Recycling Day is an initiative of the Bureau of International Recycling (BIR). 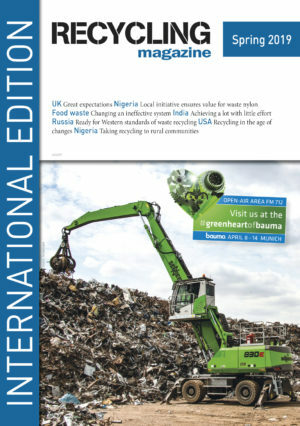 The event aims to encourage policymakers around the world to recognize that scrap is a resource and not waste. Recyclable commodities are a “seventh resource,” along with the six primary resources that need to be conserved: water, air, coal, oil, natural gas, and minerals. Global Recycling Day is also a day of action, calling on consumers to make at least one change to their recycling habits to improve the environment. The theme of this year’s Global Recycling Day is ‘Recycling into the Future,’ focusing on the power of youth and education in ensuring a better future for our planet. Through its youth outreach program, ISRI offers a number of free resources to teachers to educate children on the science of recycling. The residual waste presses by Strautmann are predestined for completely overcrowded waste bins and roll containers.